Innovest Strategic Value Advisors, a financial services research firm, recently released a study that predicts that America’s credit card debt will be the next blow to banks and other financial institutions. Currently, American consumers have approximately $970 billion in unsecured credit card debt which is of course approximately 50% more than the government’s $700 billion mortgage bailout. In 2007, banks and financial institutions such as American Express and Capital One wrote of $26.6 billion in bad credit card debt. Innovest Strategic Value Advisors estimates that the tally will be approximately $41.5 billion by the end of this year and will rise again next year to a total of $96 billion. The average credit card debt in America is $2,200 per card holder. Many credit card companies have taken strides in the hope of holding off what might be the inevitable crush of write offs. The days of 0% introductory rates are pretty much over. Many card issuers are tightening up restrictions on obtaining new credit cards. It is a reversion to the mean, and applicants looking for credit will need to have provable income and a low debt ratio. 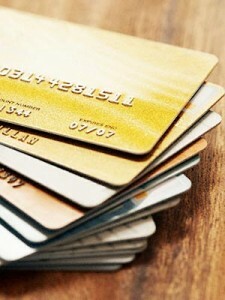 Card companies have also taken to lowering their credit limits and mitigating their risk. Credit card issuers have also began raising their cash reserves in the anticipation of future charge offs. American Express doubled their reserves to $2.6 billion to protect itself, and Capital One doubled its reserves as well to $1.1 billion. No matter what the preparations and mitigations, most financial companies who issue credit cards depend on their card operations for a majority of their revenue. For example, American Express gets 62% of its revenue from credit cards, and Capital One relies on its credit cards for 98% of its revenue from cards. Before the recent round of mergers, JP Morgan Chase’s revenue comprised of 25% from credit cards. This lack of diversification will probably exacerbate issues if and when the consumer credit shows its ugly head as the next chapter in the saga to strike at America’s financial institutions and add to the current crisis.